right-click PY files and...IDLE not available !! - W7 issue ? How to create labels in PSS/E? How to short the string variable ? What does it mean PSSE blow up? What is so great about ACCC? 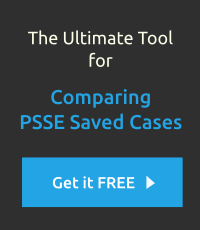 What is PSSE environment manager? Is anyone else finding the comments function isn't working? What is the API for generating the .qv files? Extract contingencies for dfax file?